The work of David Hamel is one of the most important things to Mankind ever to be released. I could not find a ring Magnet that big, so I built a "Magnetic Gate" to replace the Solid Magnet,only to discover other things. 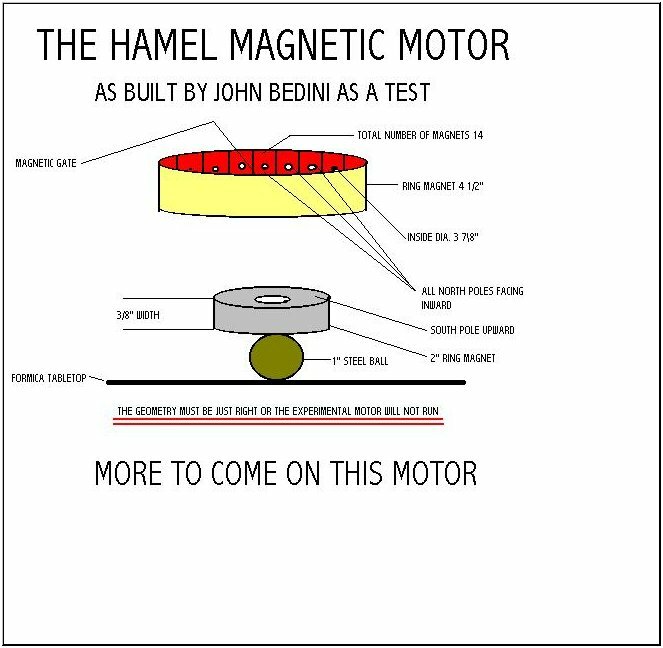 This led Me to believe that a "Rotary Permanent Magnet Motor" could be built very simply by everyone. In this diagram of the Magnetic Gate I'm showing that a cylindrical magnet is pulled into the gate and being forced out the other side. The way I think about this is that there is a "Magnetic combustion" that takes place in a field of zero. The Magnetic Field on the input side is spinning just like a tornado. When the Magnet reaches the center the spins go the other direction forcing the Magnet out. It was discovered that when two like poles are pushed together the output beam is four times greater. Do the simple experiment yourself, take two Magnets push the like poles together and at that point the power of the magnet should be four times greater and the normal poles should be two times weaker. 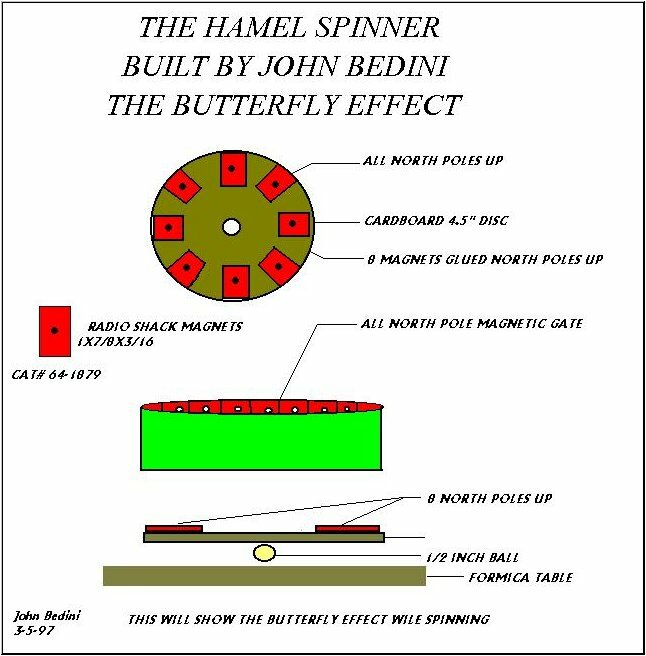 This drawing will allow you to reproduce what David Hamel said about "THE BUTTERFLY EFFECT"